Beauty Heroes always offer amazing value, but they have outdone themselves with their November box. Valued at a mind-boggling $205 (you pay just $39! ), it contains a full-sized beauty hero and two deluxe sidekicks. The featured brand this month is Ayuna, a luxe-minimalist skincare line from Spain. Ayuna (Spanish for fasting) uses a ‘less is more’ approach to skincare, reducing skincare ‘to the essential.’ Their offerings have been edited down to just four products (there are two versions of the Cream, which makes it five products in total). These products are formulated with care and precision, and they feel both high-tech and artisanal at the same time. Their jars have a serene, almost monastic quality to them, and they almost look like works of art. They are hands down the best-looking jars I’ve seen in green beauty, and they really have taken packaging design to a whole new level. I was really excited to receive this month’s Beauty Heroes box featuring Purify Face Wash and Activate Body Wash from American brand Linné. 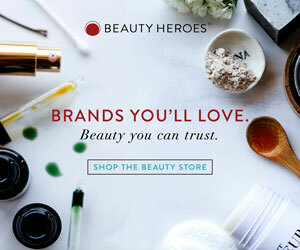 Being a Beauty Heroes ambassador, I received the box almost a month before its release, and I have been using these products regularly for the last month. Effective face washes are hard to find in the green beauty world, and I wanted to see if these worked… and I’m impressed.